When your life is built around a father's wrath, how can you trust in the love of Father God? Mercy Roller knows her name is a lie: there has never been any mercy in her young life. Raised by a twisted and abusive father who called himself the Pastor, she was abandoned by the church community that should have stood together to protect her from his evil. Her mother, consumed by her own fear and hate, won't stand her ground to save Mercy either. The Pastor has robbed Mercy of innocence and love, a husband and her child. Not a single person seems capable of standing up to the Pastor's unrestrained evil. So Mercy takes matters into her own hands. Her heart was hardened to love long before she took on the role of judge, jury, and executioner of the Pastor. She just didn't realize the retribution she thought would save her, might turn her into the very thing she hated most. Sent away by her angry and grieving mother, Mercy's path is unclear until she meets a young preacher headed to counsel a pregnant couple. Sure that her calling is to protect the family, Mercy is drawn into a different life on the other side of the mountain where she slowly discovers true righteousness has nothing evil about it--and that there might be room for her own stained and shattered soul to find shelter. . . and even love. Mercy's Rain is a remarkable historical novel set in 19th century Appalachia that traces the thorny path from bitterness to forgiveness and reveals the victory and strength that comes from simple faith. Every once in a while you come across a book that just doesn't seem to fit in with whatever it is that you've been reading lately. 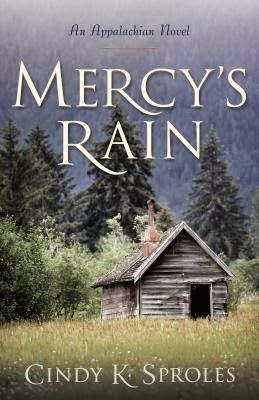 Mercy's Rain was that kind of book for me. This wasn't an easy book to read, though the author handled very difficult subjects with amazing skill. As a reader, I was drawn into the story and felt almost as if I were living it right alongside Mercy. It's not a book that I think I'll read again soon, but it is a book that will go on my shelf for another read. I received this book for the purpose of this review. All thoughts, comments, and opinions are my own.